I’ve had people ask me to critique their work, just as I ask my Beta readers to critique mine. For the most part, I’m happy to do it because it’s a valuable service if given and received in the right spirit. Any story born and nurtured in the writer, whether a life story or fiction, deserves to be brought to life. I consider it an honor to be invited into that place of vulnerability in the writer’s process of giving birth to their infant work of art. It can be as frightening for me as for the writer, especially if the work is already published and I’m asked for my ‘honest opinion.’ Not all published works should have been released at that stage in their development. If I had published my books before they went through the process of self-editing, beta-reading, professional editing and more self-editing, they would have deserved unbridled criticism, and I would have done one of two things: stopped writing altogether, or learned from the criticism. During the process, I learned, and wrote and re-wrote. If I hadn’t decided that enough is enough, I would still be re-writing. No book is perfect. There is room for improvement in everything we do. It doesn’t detract from the value of the story we have to tell. I ran across this article today, and thought it was something we can apply to anything we do in life. Any thoughts? It hurts to hear people say negative things about something you poured your heart and soul into. It hurts to recognize that you are not perfect at what you do and can always use improvement. However, criticism–good criticism–is a very powerful raw material you can use to build yourself as an artist. People generally react to criticism non-constructively in one of two ways: resistance (dismissing, arguing, or denying) or withering (collapsing in feelings of shame and inadequacy). Both of these reactions deny you the opportunity to learn and grow from the feedback. To get the most out of criticism, you have to be humble enough to admit your work has faults, yet confident enough that you won’t wither. You have to push past the instinct to get defensive, and instead, get curious about how the criticism can help you improve your craft. Let’s break it down into five steps. What was I going to say to a group of eighth-graders? Why do I write? Why do I write? A teacher friend of mine honored me by reading portions of my book Terra’s Call to her eighth-grade classes. She kept me informed about their continued interest and, in my excitement, I blurted out an offer to speak to her kids about writing. She accepted. One reason I prefer writing to speaking is that my spoken words trip me up more often than not, and this time they trapped me in a commitment to speak to a group of kids who are, undoubtedly, going through the rigors of hormonal changes in addition to problems and issues that would fund a therapist’s villa in the Mediterranean, if they could afford a therapist. What words could I possibly say that would encourage them, engage them and keep their interest? Why do I write? I could say it’s because I grew up without television, forced to read for entertainment and allowed to read anything I was able to understand, and much that I wasn’t ready for. How many of them would be able to relate to the world I grew up in, without electronics and in a land where I had to learn the language or flounder? Are there any military brats among them? Perhaps. Would I bore the rest with my accounts of a life lived long before they were thought of? Perhaps. What if I turned the focus on them? Kids live inside their own skins. Life for some of them is all about self-preservation; survival. What gift could I leave them with? What do they need to know about themselves that they may or may not already know? The speech formed in the middle of the night, in that realm of half-sleep where God sometimes speaks in a nearly-audible voice and ideas fall like rain, filling puddles with scenes and characters. This felt like a clear pool of light. Share my background. That’s a given. They won’t know anything about me. Why is this old lady talking to them about teenagers in her book? Segue to a question that only they can answer. Each of the characters in Terra’s Call has a super power. What about the eighth-graders? What if they knew that each of them has at least two super powers? Can they guess what they are? If they would hang on until the end of my talk, I’d reveal the secret to them. Now what? I had a beginning and an end, so what comes in the middle? I took a writing course where I learned that the active voice is better than the passive voice in most cases. With all the books I’ve read, you’d think I’d know that instinctively, and yes, the books I enjoy the most are written that way. The course defined my gut reaction in a way that I would later use in my writings. I passed that nugget along, with examples of the different voices. The speech was complete. What are the super powers that every young person in that room and in every room in every school shares? Stay with me and I’ll tell you at the end. How do I define the drive, the need to express on my laptop what I can’t easily say? When the words come, the ideas flow and my characters play out scenes and conversations in my head, the pure magic of electric creativity shimmers through my fingertips. It’s happening, I celebrate and the keyboard clacks almost as quickly as I think. This is easy and I feel alive and vibrant. And then, the crash. I’m stuck, held in a bog of a scene that goes nowhere and means nothing in the narrative. My feet, my mind, are held captive in viscous tar, and struggling only pulls me in deeper. Why do I write when I feel completely inadequate, even stupid with a void for a brain and my font of ideas runs dry? What do I do then? I wait and pray. I spend time with my ever-supportive husband. I shop and visit family and go to the movies and meet with other writer friends for some quick exercises with prompts. I refill my empty tanks with life and love and laughter and people. And then, in the middle of the night, or perhaps while I’m driving or in the shower, the light comes on and my characters speak to me again, and I see them living their next scene. That’s how Terra’s Call happened. That’s how Triton’s Call is happening now. When I entered my first contest with Terra’s Call, my first fiction work and the first book in the TetraSphere series, I had no expectations. I entered simply to try something I’d never done before. 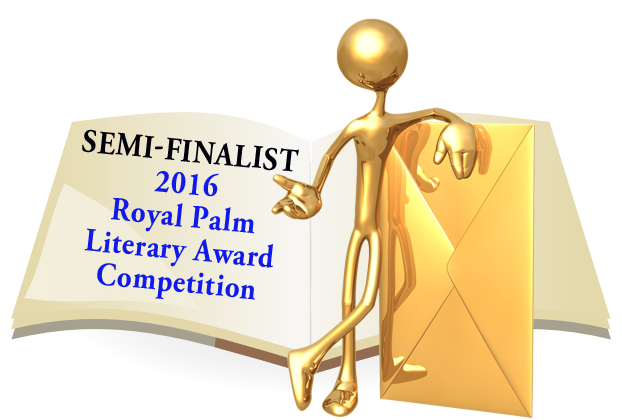 Imagine my surprise when I received an email informing me that Terra’s Call is a semifinalist in the published fiction for youth – young adult/new adult genre category of the 2016 Royal Palm Literary Awards competition. A semifinalist! I’m doing a happy dance right now. I can’t imagine how it would feel to be a finalist. Imagination. If you’ve ever spent a moment daydreaming; if you’ve invented anything or dreamed up a practical joke to play on someone or interviewed for a job or read a book or done something out of the ordinary, then you have it, too. The ability to choose your path. You can make good choices or bad choices. Your choices may be limited by your circumstance, or they might break you out of things that limit you. You have the ability to forge a path based on the choices you make. Why do I write? I write because I have to. Bestselling Author, Photographer, and Artist. When you only dip a big toe in the waters of faith, it lands you in some pretty sticky situations. Unveiling the beauty, strength and uniqueness of the Ordinary Woman because lets face it, no one is truly ordinary.